This Sacramental Life: Couponing for Community: Leave a Bag of Groceries for Stamp Out Hunger Day Tomorrow (5/12)! 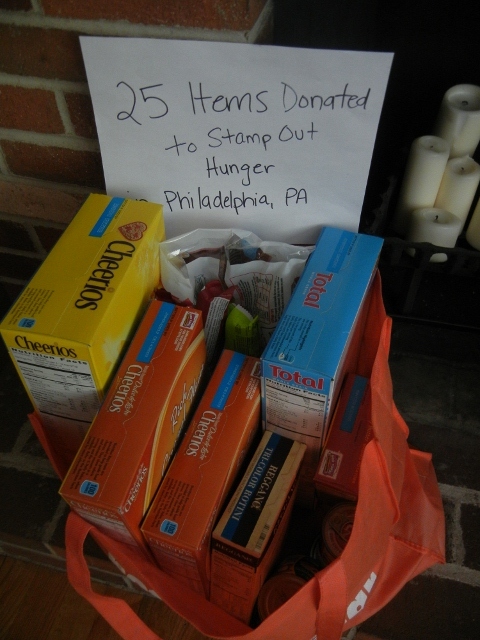 Couponing for Community: Leave a Bag of Groceries for Stamp Out Hunger Day Tomorrow (5/12)! 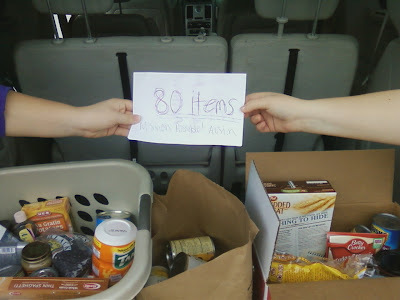 thank you Annie and Donna for pitching in with us! We just got back from driving a little bit of a circuitous route to pick up donations from friends, delivering 80 food and hygiene items Mission:Possible! Austin -- a ministry that we are growing to love. Tomorrow is the last day of Couponing for Community! If you haven’t checked out the giving stories on the C4C Facebook wall, there are some incredible pictures of how couponers across the country have found ways to give this week. If you have a chance to snap a picture with a sign showing where your donations are going, that would be great. (But it’s optional!) We just want to show how we can use our coupon powers for GOOD!